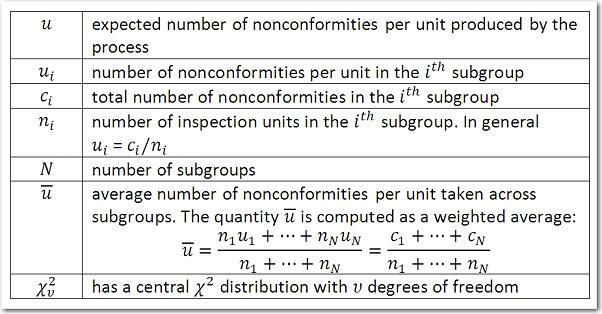 36484 - How are control limits calculated for the different Shewhart control charts? 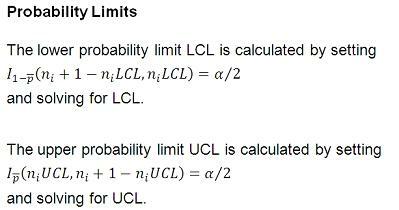 Usage Note 36484: How are control limits calculated for the different Shewhart control charts? How are control limits calculated for the different Shewhart control charts? 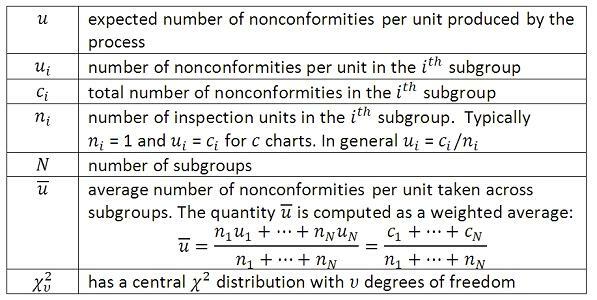 This content shows the formulas for control limits for various Shewhart control charts. 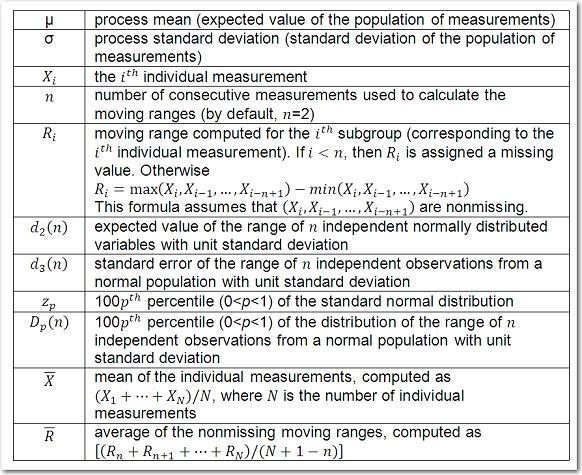 These formulas use an estimate of sigma. 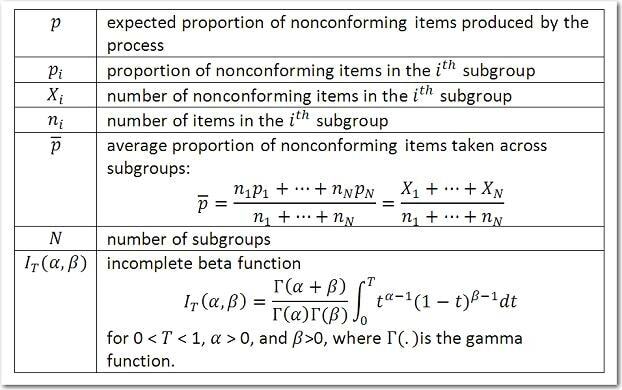 See Usage Note 36576 for information on how sigma is calculated for each chart. as a specified multiple (k) of the standard errors of X-bari and Ri above and below the central line. The default limits are computed with k=3 (these are referred to as 3σ limits). as probability limits defined in terms of α, a specified probability that X-bari or Ri exceeds the limits. 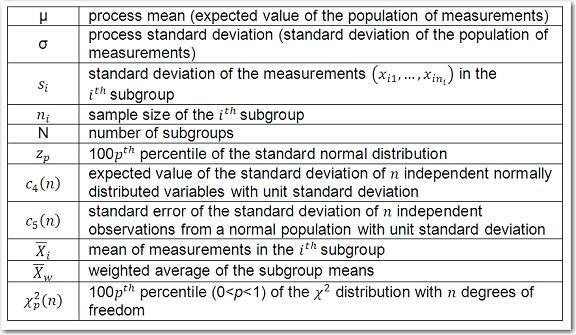 as a specified multiple (k) of the standard errors of X-bari and si above and below the central line. The default limits are computed with k=3 (these are referred to as 3σ limits). as probability limits defined in terms of α, a specified probability that X-bari or si exceeds the limits. 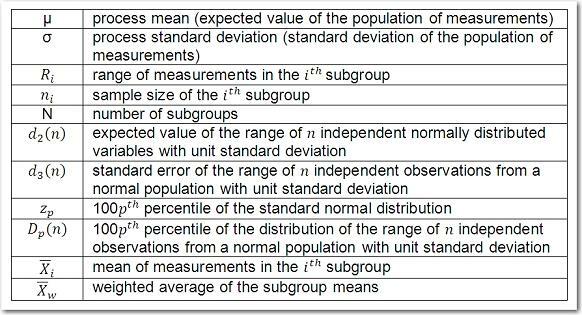 as a specified multiple (k) of the standard errors of Xi and Ri above and below the central line. The default limits are computed with k=3 (these are referred to as 3σ limits). as probability limits defined in terms of α, a specified probability that Xi or Ri exceeds the limits. as a specified multiple (k) of the standard error of ci above and below the central line. The default limits are computed with k=3 (these are referred to as 3σ limits). 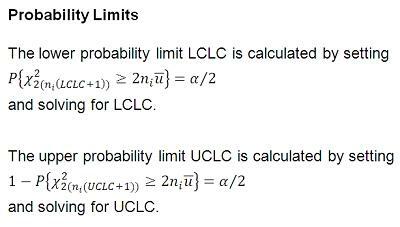 as probability limits defined in terms of α, a specified probability that ci exceeds the limits. as a specified multiple (k) of the standard error of Xi above and below the central line. The default limits are computed with k=3 (these are referred to as 3σ limits). 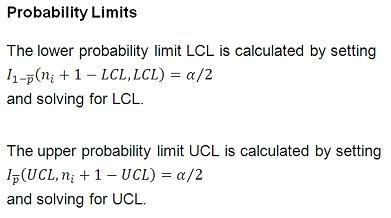 as probability limits defined in terms of α, a specified probability that Xi exceeds the limits. as a specified multiple (k) of the standard error of pi above and below the central line. The default limits are computed with k=3 (these are referred to as 3σ limits). as probability limits defined in terms of α, a specified probability that pi exceeds the limits. The notation for the p chart is the same as the notation for the np chart. as a specified multiple (k) of the standard error of ui above and below the central line. The default limits are computed with k=3 (these are referred to as 3σ limits). 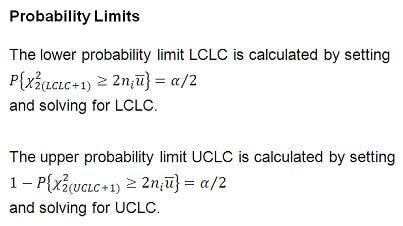 as probability limits defined in terms of α, a specified probability that ui exceeds the limits.